A few thoughts on Alpha from a long time church member, Steve Bender…..
Back in the early 1980s, the business world transitioned from Lawyers, Executives, and Technical staff either dictating or writing out in longhand their work product and giving it to their secretary to type it up. Computers put them in charge of producing their own work and the secretary/typist more or less moved into history. Only a few years before, people would have scoffed at the very idea of a senior person doing their own typing. That was not just a change, it was a metamorphosis. This weekend, we at Centreville Presbyterian Church begin a similar metamorphosis. I confess that I feel a little trepidation at these next three months. I have been concerned about how guests off the street will react to the new format and about how our members will react. Will people drift away because of their discomfort? Is it just too different? I like what we are doing, but I keep wondering if we have covered all the contingencies. Then it occurred to me…maybe we haven’t covered all the contingencies. But God has. Four years ago, the idea of stepping away from the PCUSA was a metamorphosis. But we began the journey, and we saw God’s faithfulness. We were facing a series of Presbytery committee meetings, and God blessed us with members who were supportive. We were facing an insurmountable financial payment, and God moved Presbytery to reduce it and even farther challenged us at the calendar. As a congregation, we sought God’s will, and individually He moved many of us to give sacrificially and not only meet that target but exceed it abundantly. Now, we have moved on to the next phase of this journey. Just as we were asked to step out of our financial comfort zone, now we are being challenged to step out the familiarity of our traditional service and out of our relational comfort zone. Just as God has prepared and led us throughout the process to this point, He will continue to prepare and lead us going forward. I have decided that I just need to recognize that I may not be totally comfortable in my own self with the coming Alpha program, so I need to put my comfort on the Lord. I need to be praying…not for guidance on whether this is the right thing for me. No, I need to be praying that God will change me so that I feel completely comfortable with what He is doing; so that I can be a more effective (jar of clay) in His service to fulfill His mission. II Corinthians 4:7-10: But we have this treasure in jars of clay to show that this all-surpassing power is from God and not from us. We are hard pressed on every side, but not crushed; perplexed, but not in despair; persecuted, but not abandoned; struck down, but not destroyed. We always carry around in our body the death of Jesus, so that the life of Jesus may also be revealed in our body. II Corinthians 3:4-6: Such confidence we have through Christ before God. Not that we are competent in ourselves to claim anything for ourselves, but our competence comes from God. He has made us competent as ministers of a new covenant—not of the letter but of the Spirit; for the letter kills, but the Spirit gives life. 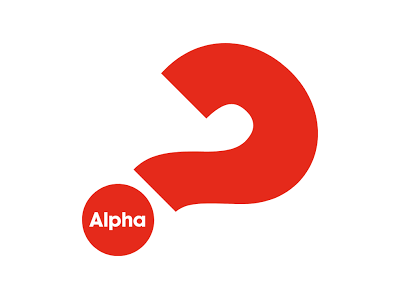 More information about our Alpha Series, check out our webpage HERE.